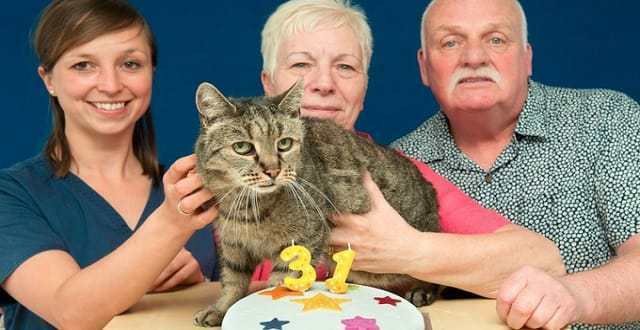 Meet Nutmeg, The World’s Oldest Cat With A Heart Bigger Than His Age, Who Won’t Give Up! 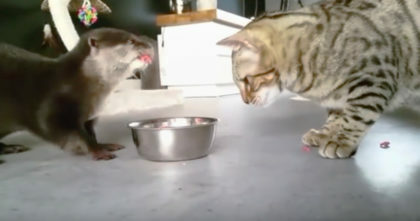 It’s time to congratulate Nutmeg the kitty. 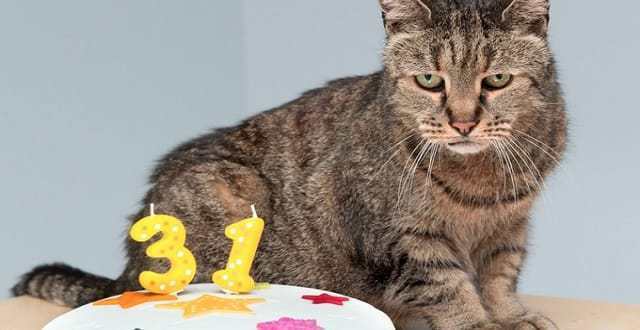 This cat has outlived many and is not considered the world’s oldest cat at 31 years old, but thats not the only reason that makes him so special, he’s a champion and won’t give up! He’s got a heart filled with love and purrs and just can’t stop loving, but unfortunately Nutmeg’s life hasn’t always been easy and has even recovered from a stroke, but is still going strong thanks to his little heart who just won’t give up! Nutmeg just recovered for yet another serious illness, but thankfully he still has nine lives and he’s loving and loving like a champ! It’s been an entire year since he received medical help at Westway Veterinary Centre in Newcastle after suffering a stroke, but that hasn’t stopped him after another entire year! 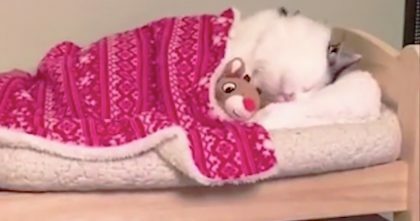 Nutmeg’s human parents, Ian and Liz Finlay, say that they adopted the stray kitty who was in need of someone 26 years ago after discovering the cat in their yard meowing for someone to adopt him! How could anyone turn him down? After a whole 26 years, Nutmeg is still going strong and hasn’t given up at all. He doesn’t even show many signs of aging and purrs on through life! Poor Nutmeg suffered a seizure this past September, but was then rushed to Westway’s veterinary station on West Road in Newcastle… Luckily he lived to tell the story and keeps on being the cute kitty he is! Nutmeg’s owner, Ian Finlay said, “We thought we had lost him and we were very worried, but after a several days in vet station he was back to his normal self. 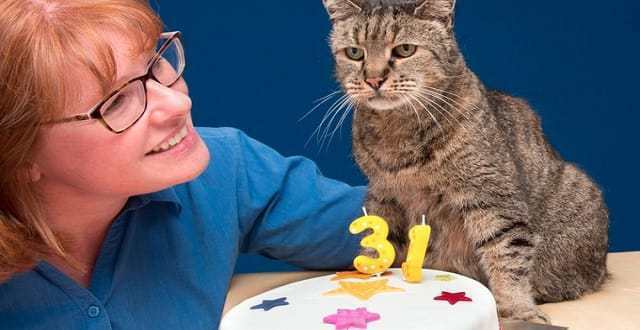 At this time the oldest cat on record was a Siamese cat named Scooter who lived to be 30 years old weeks after being given the award in Guinness Book of World Records as the world’s oldest cat. Scooter lived to an old wonderful age, but sweet Nutmeg is living longer at 31 years! It’s truly amazing! 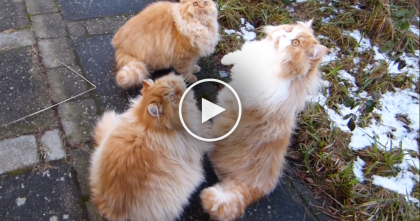 SHARE Nutmeg and this amazing story with your friends! He Was Rescued After Being Hit By A Car, Now He’s Having The Best Time Ever! 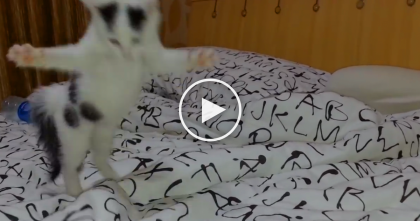 Every Night Before Kitty Goes To Sleep, Just Watch What Happens… What A Spoiled Little Cutie!! 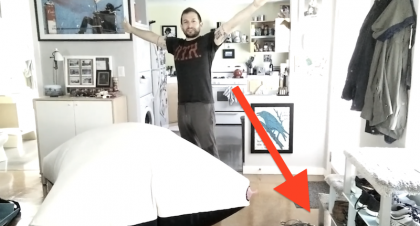 He Created The Worlds Largest Whoopee Cushion, But When You See The Cats Response… OMG.